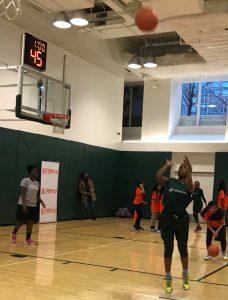 The middle school girls who came together at Asphalt Green in Battery Park City earlier this month received more than advice about keeping fit by playing sports. They learned about how to break into careers in the sports industry. 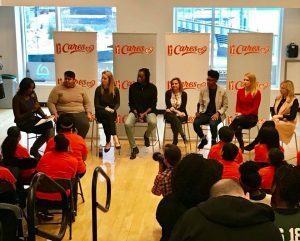 On February 7, the WNBA held a basketball clinic at Asphalt Green in celebration of 2018 National Girls and Women in Sports Day. The event also included a panel featuring WNBA stars Swin Cash and Tina Charles, and other professional female leaders with sports backgrounds. “Through sports, I learned leadership skills, how to collaborate, and how to be comfortable with being uncomfortable. Much of my career success is due to having the confidence to overcome challenges,” said Sarah Bennett, Chief Marketing Officer at Asphalt Green. The WNBA’s National Girls and Women in Sports Day campaign empowers female athletes and promote the continued expansion of opportunities for girls and women to play sports and live physically active lives. In addition to Bennett, the panel included: Jay Parry, Chief Operating Officer of the WNBA; Erika Wachter, Fox 5 News Sports Host and Reporter; Katie Barnes, writer for espnW; and, Adele Jackson-Gibson, Editorial Consultant for Player’s Tribune — all of whom shared stories of how playing sports positively impacted their careers. In the audience were girls from Asphalt Green’s Community Sports Leagues at Public School 180 and St. Hope, and students from the Dual Language Middle School. Community Sports Leagues, one of Asphalt Green’s free Community Programs, provide middle schoolers from low-income communities with opportunities to play organized sports as part of a school team. More than half of the 50,000 Community Programs participants are girls, and more than 3,000 girls play on Asphalt Green’s competitive and recreational youth sports teams. 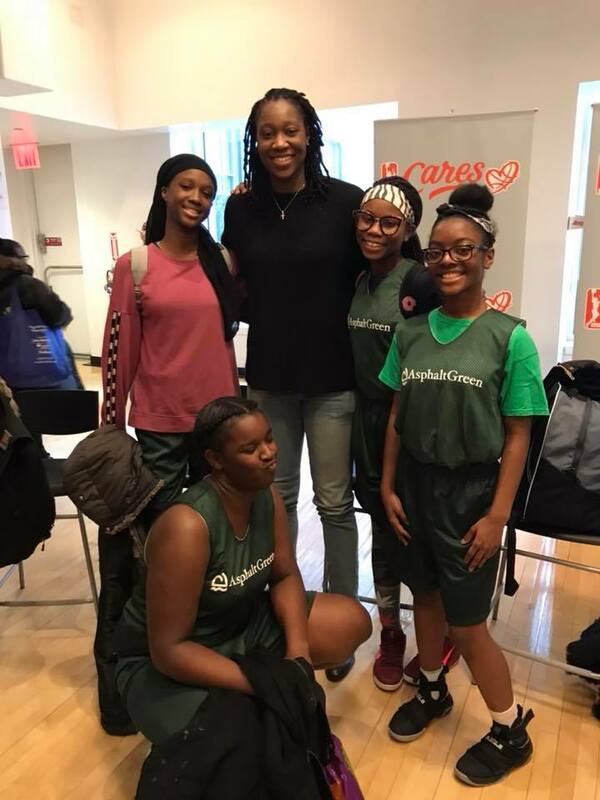 WNBA star Tina Charles and her fans at Asphalt Green in Battery Park City.